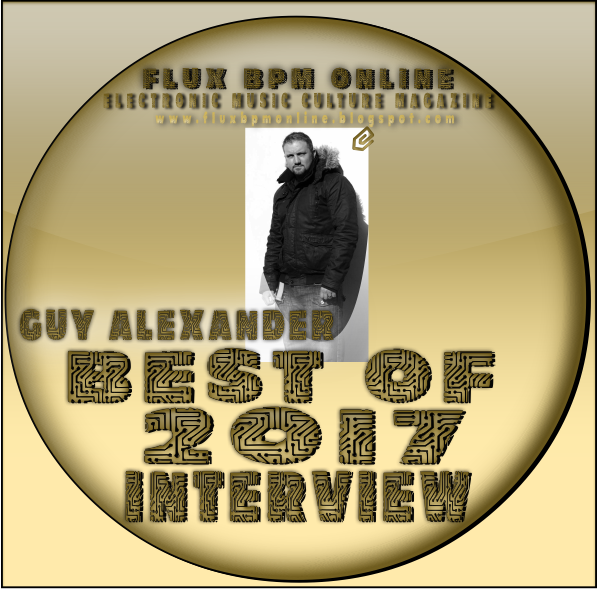 Guy Alexander: Well to be honest, musically 2017 has been a good year for me, and I have achieved a number of personal goals, which has been amazing. 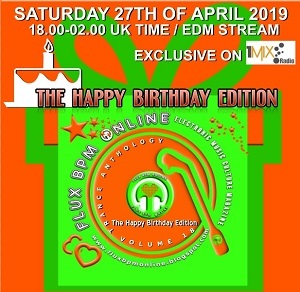 These have included releasing a mix compilation for the legendary Redux Recordings, my music being supported by an ever growing list of people (Thank you so much for your continued support), and being asked by TrancEye to compose an original track exclusively for his Diverted label, however, my biggest music career achievement has been signing three remixes to labels that are under the Black Hole Recordings umbrella. Coming in to 2017 my aim was to push my productions and start to release on bigger labels, and it has been a dream come true to have achieved that. My remix of the legendary The Quest - C Sharp was released early this year on In Trance We Trust, after Menno de Jong hammered it for over a year, and I will be forever grateful to Menno for that opportunity, my remix of Torio and Darkmada - Ascending was released on Roger Shah's Magic Island Records, a big thanks to Torio for that opportunity and to Roger for liking my remix enough to release it, I also had the opportunity to officially remix one of my absolute heroes, S.H.O.K.K, who released their new track Derecho on Hard Trance Europe, one of Black Hole's newest labels, huge thank you to Nick Coles for that opportunity too. Guy Alexander: My biggest personal achievements have been, graduating from University with an honors degree, and also starting work as an Academic Support Worker, working with disabled students to help them to achieve their academic goals, which I absolutely love, I love helping people. Too many to mention really, it has been an amazing year for trance! Paul van Dyk for me, for him to return from such an horrific accident and be straight back at the top of the game, and with an album that is absolutely stunning, he deserves a lot of respect, what an amazing and inspirational artist and person. Other notable mentions: Darren Porter and Sean Tyas never fail, either together or with solo projects, every thing these guys do is incredible. Ferry Corsten also is such an amazing talent and doesn't receive the praise he deserves in my opinion, the fact that he has never won the DJ mag top 100 poll is unbelievable. TrancEye too is another absolute genius and it is great to see him start to get more recognition for his amazing and consistent work. As above though, there are so many incredible artists who are consistently producing such amazing music this list could be a lot longer. Lots, but to name a few, Sam Laxton, Asteroid, Factor B, Dan Dobson (Daxson), Shuggs, Arkham Knights, The Noble Six, David Rust, Kayan Code, Symon and Jay, Renegade System, and Myk Bee. Most of which have been around for a while but are just starting to get the credit they deserved but all are very talented. Paul Van Dyk - From Then On - In a word 'AMAZING'! I know it was released right at the end of 2016 but Ferry Corsten presents Gouryella - From The Heavens is such an amazing piece of work, I still listen to it at least once a week. Tales from the Mental Asylum Chapter IV (Mixed By Indecent Noise) I love my horrors and I thought this cover was pretty cool. HALIENE, I really liked Saving Light too very powerful song. Stine Grove has had a good year too. To be honest I buy every release on Future Sound of Egypt every tune is just incredible. The label I work for, Redux Recordings, are also one of my favourites, releasing tune after tune. Gareth Emery & Standerwick - Saving Light (feat. HALIENE) such a powerful video and message, bullying can never be tolerated. Any message I receive means the absolute world to me. Music has been my passion for as long as I can remember, and I know the joy that other peoples music brings to me. So when I receive a message from someone to say they have loved something that I have written or remixed, it really does blow me away, I really do appreciate them taking the time to message, and thankfully they are complementary messages. I have experience using most of them to be honest, but my favourite is Logic X, closely followed by Ableton Live. Luminosity Beach Festival hands down (It would be a dream come true to play there one day). To be honest this year as been pretty quiet on the gig front, with finishing university and working to achieve a higher standard with my productions, I have not really played out at all. However, I am looking forward to getting back out and gigging throughout 2018. I really enjoyed hearing both of these guys live again, although, I was not there in person sadly, Jon O'Bir & Activa @ Synergy 'Open to Close' 30.09.17, it was a good set though. This set from Sean Tyas was awesome too,. A live set showcasing how amazing and consistent his productions have been over the years Sean Tyas (Producer Set) - Live on Monday Bar Cruise 2017. Any of Markus Schulz's Global DJ Broadcast world tours. Sadly I have not travelled to play any shows this year. 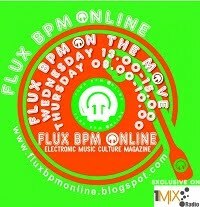 I do always love Markus Schulz's Global DJ Broadcast. Pioneer Nexus 2000 and Rekordbox is a lovely set up and I do have a DDJ RB controller to mix my radio shows. I still love my Technics 1210's and Pioneer 500 mixer too for a vinyl mix every now and again. Any of the Dave Parkinson, Sean Tyas and Darren Porter sample packs and sound banks. Don't be afraid to fail, experimentation is the key to success. Stay focused on you want to achieve and be true to yourself. It is hard, but try not to pay attention to what everyone else is doing around you. If you have a clear vision of what you want to achieve, go for it, and don't let anyone or anything get in your way. Every second that I spend with my wife and children is an absolute blessing, they are my world, so when I am not working on music, I am with them. My holidays this year have been camping trips around Devon, Cornwall and Dorset, visiting beautiful areas with my wife and children. Bladerunner 2049 was amazing and so was Thor: Ragnarok. Call of Duty WWII Ps4. I was sad to hear of the deaths of both Robert Miles and Chester Bennington this year. They were two very extremely talented artists who both died way too young, may they rest in peace. 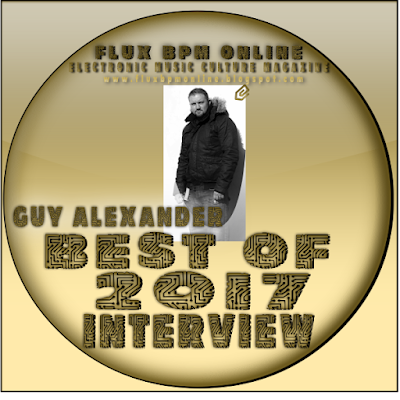 Guy Alexander: Over the next 12 months my aims are to continue to build on my discography and work on improving my sound, possibly even start on an artist album. I also want to get back out gigging again and to start to play more European and International shows.